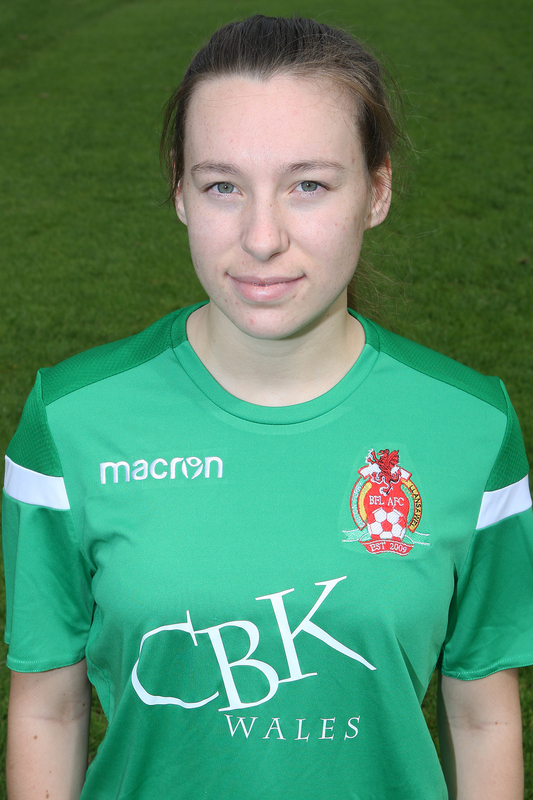 Jess is an athletic goalkeeper who has previously been involved with Welsh camps. Joined Ferry this season from Cardiff City, previously won the league with Swansea City. Excellent young goalkeeper with great reflexes and produces some great saves. 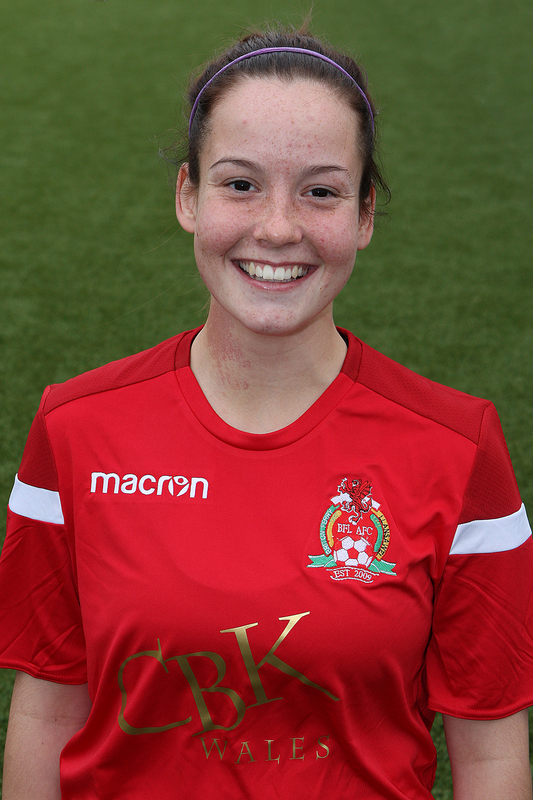 Has lots of confidence to communicate with the defence and use her feet to start an attack out from the back. Caitlyn is the development’s keeper. She has always been loyal and committed and has established herself as an important member of the team. 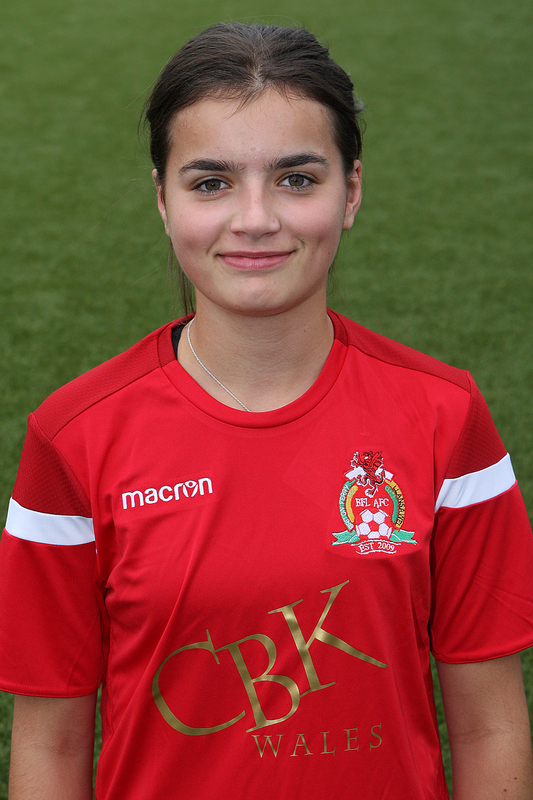 Catrin is a young, strong & confident defender who never shies from a challenge. 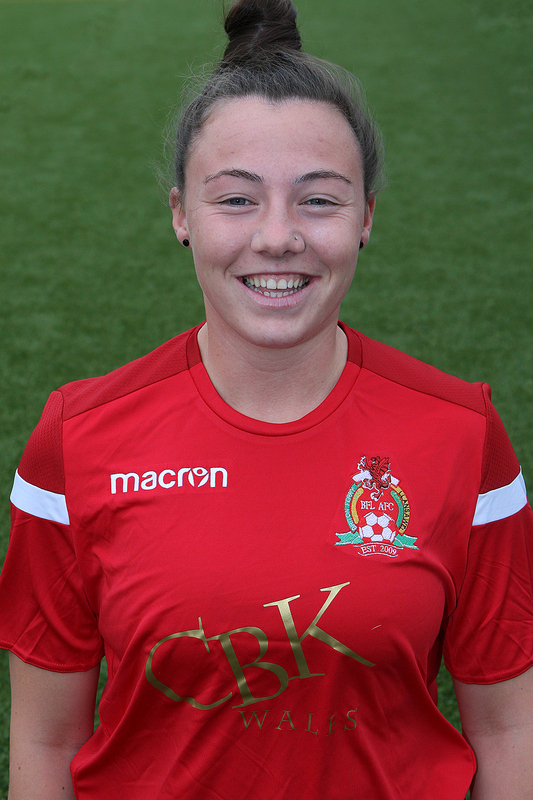 She had a great first season at ladies level last year and played a big part in winning promotion back to the Premier League. Voted Player’s Player of the Year last season. Played mostly as a winger previously but has now transitioned into a dynamic left-back. Keeps a cool head when defending and can attack down the line when needed. She has a great reading of the game and is a great finisher in front of goal. 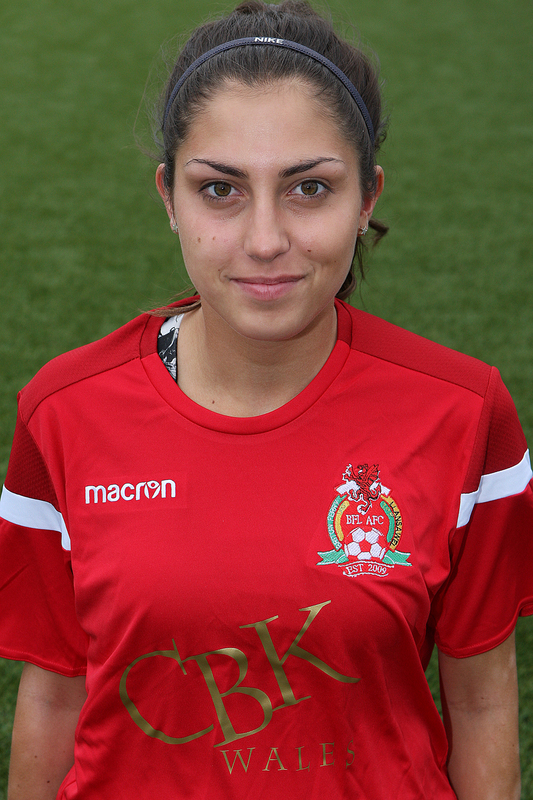 Provides the team with versatility as she can play all over the field though is best utilised as a full-back. 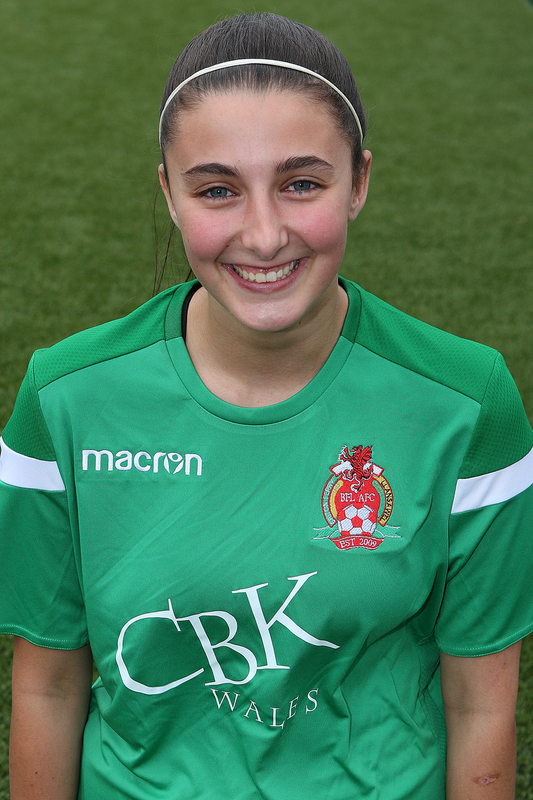 Mel has a great work rate and helps out the team in all aspects of the game. Former captain Sophie can play anywhere in defence, currently out as expecting her first child. 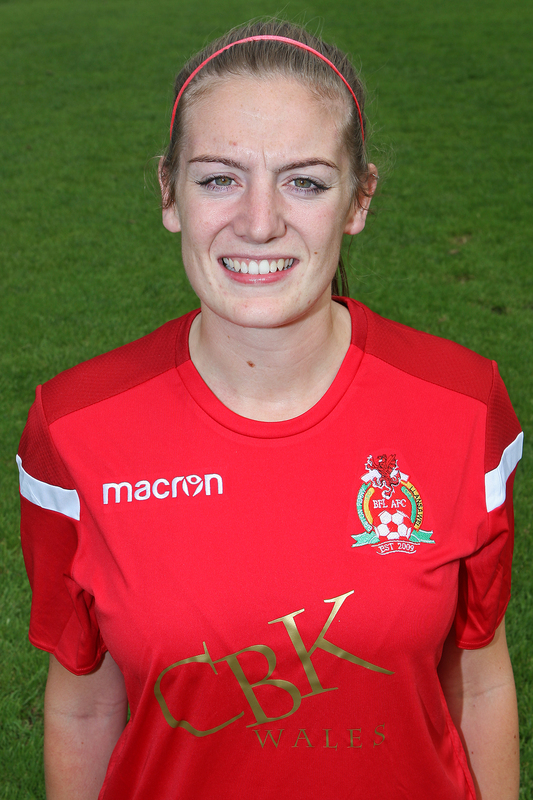 Grace plays as a centre back and adds strength and confidence to the defensive line. 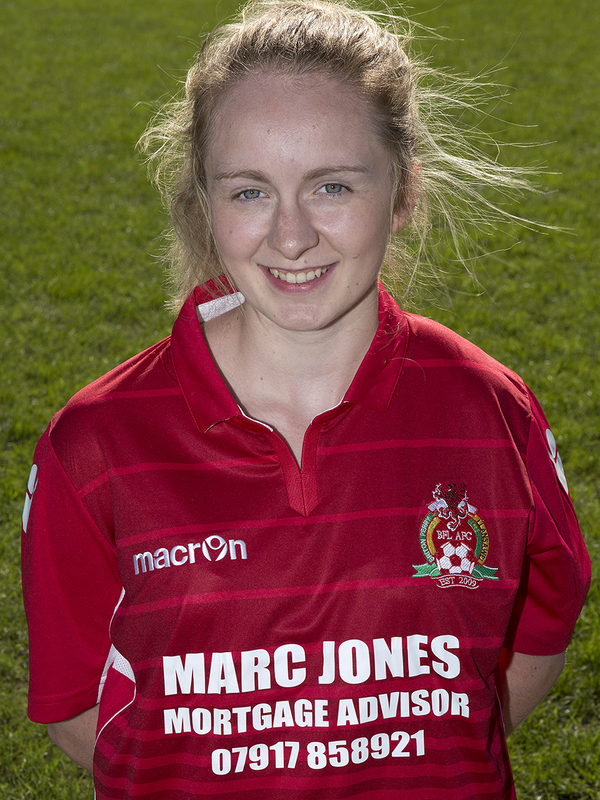 Strong winger/striker that has joined from Rhos for her first year in the Welsh Premier League. Holds the ball up well and can run at opposing players confidently. Can also play as a right back if required. 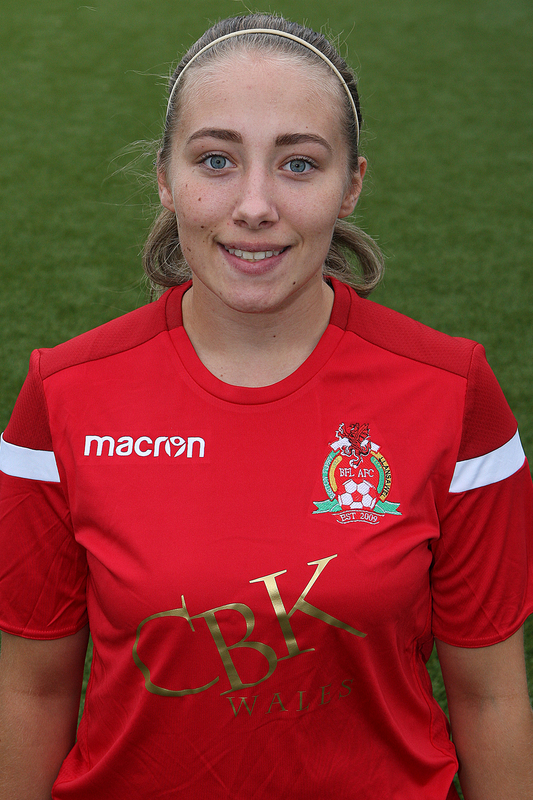 Captain of the team Lowri brings Premier League experience back with her from previous stints away at Swansea City & Port Talbot. Solid player who marshals the defence around her and guides the team with her knowledge of the game. One of the more senior members of the team. Stepped up from the reserves team last year after winning Player’s Player of the Year and brings previous experience of captaining the reserves squad. 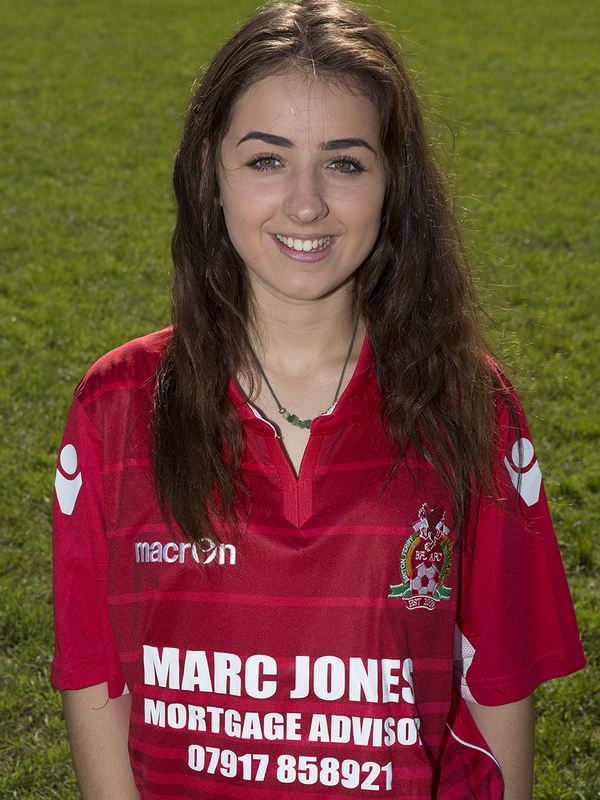 Strong tackler of the ball and is an asset with her long throw-ins. 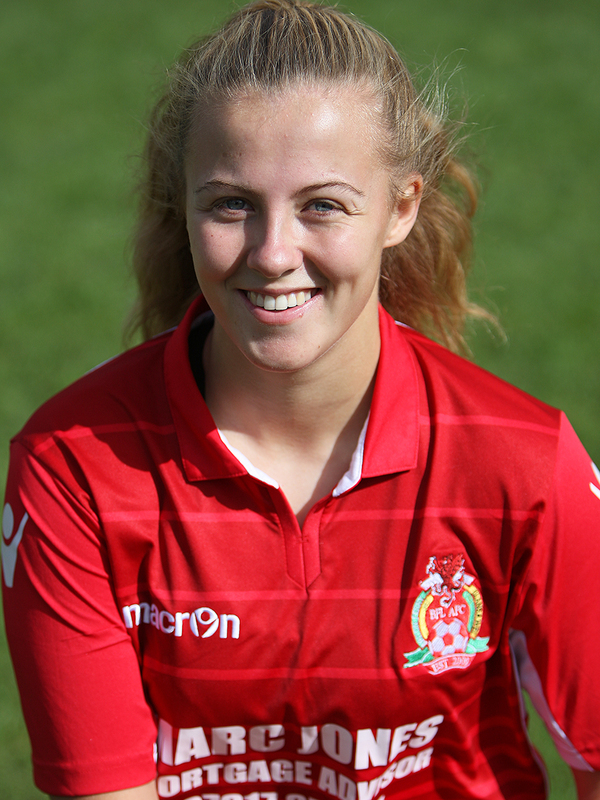 This season will also be Sophie’s first at ladies level. She is a strong player who can play in both defence and midfield. Defensive midfielder who has lots of energy and likes to get on the ball. Has a great reading of the game to find space and always shows great determination to win the ball. Kayhlan can play either in midfield or at full-back. Very good at breaking up opposition attacks and has no hesitation in running forward to support the attackers. Will have limited appearances due to her being in the army. Feisty young player who doesn’t let the opposition boss her around. Has the ability to play any position but is utilised best in midfield. 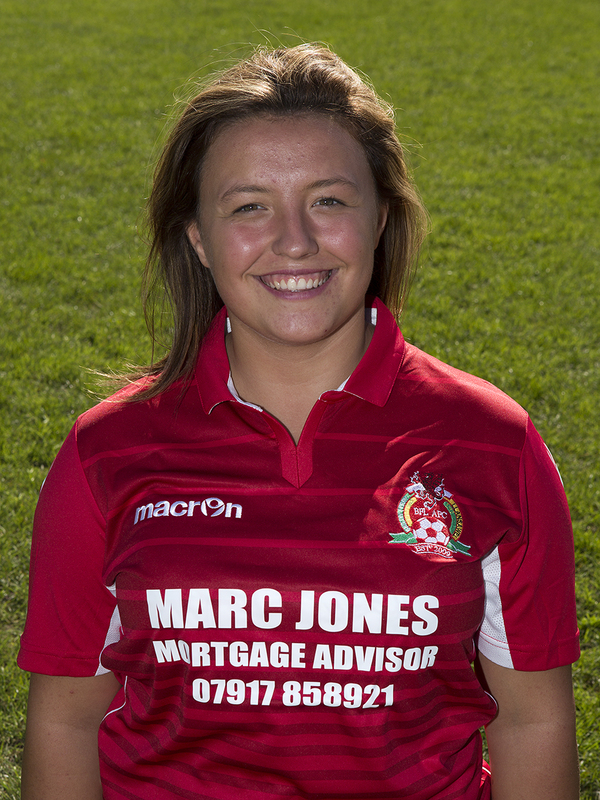 Faye plays in defence and this is her first year of ladies football having previously played for Llangyfelach at junior level. 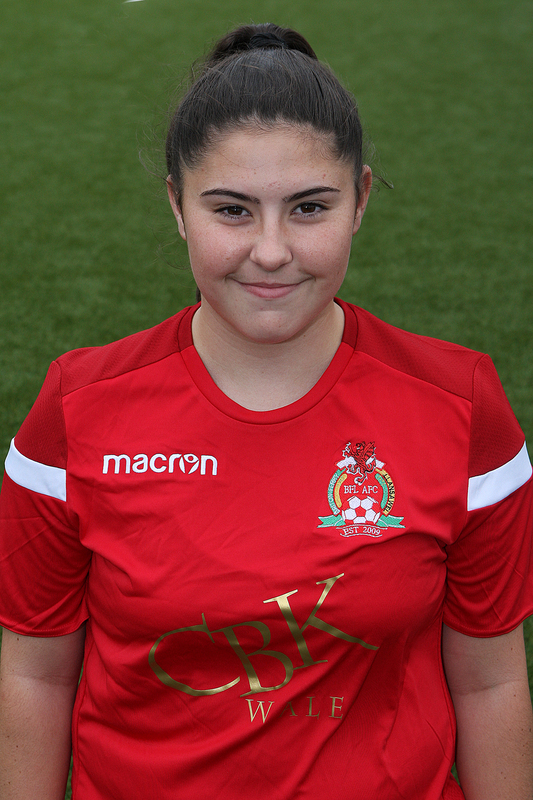 Katelyn is a tough tackling defender who is in her first year of senior football with Ferry having signed from Port Talbot girls. Great asset to the midfield with her vision and reading of the game, also a benefit with her accurate delivery from set-pieces. Confident in both the attacking and defensive sides of the game. 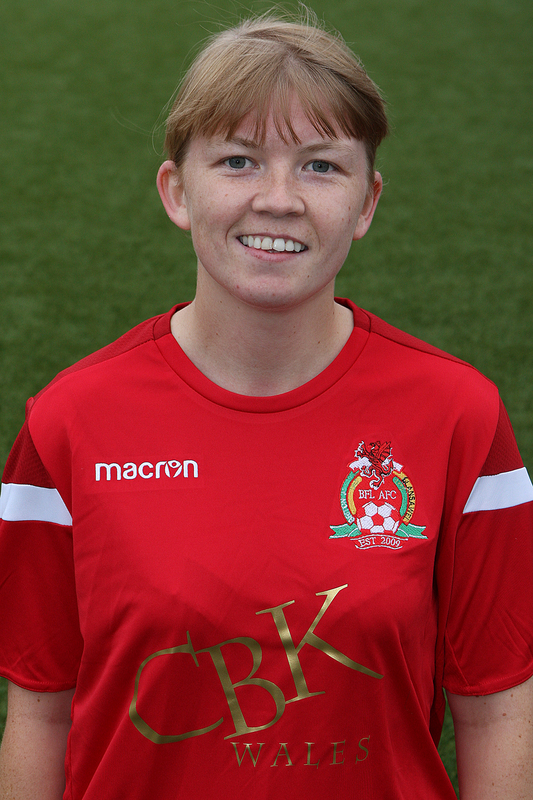 Meg is a midfielder with extremely quick feet who plays in the number 10 role and, on occasion, as a left winger where she poses a threat with her excellent dribbling ability. Last season’s Manager’s Player of the Year. Has a great attacking mind-set so is most at home in midfield but can also play in defence where she is a match for anyone in physicality. 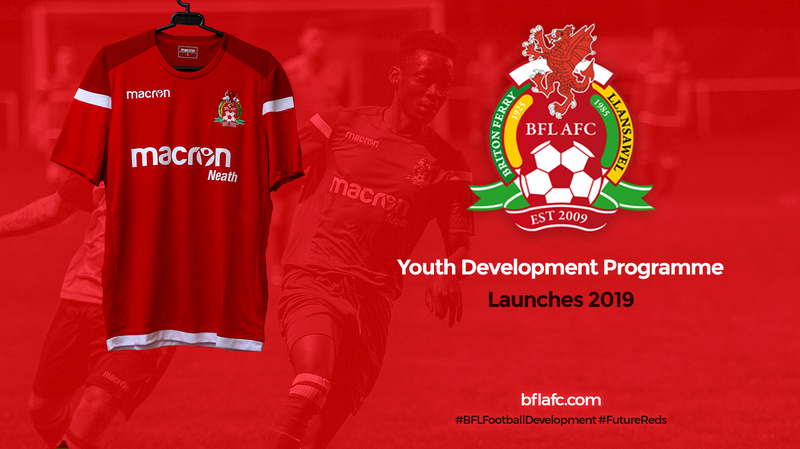 Captain of the development squad, also taking up the role of Player-Coach for this season. Brings a lot of experience to the team and has a good knowledge of the game. One of the more experienced members of the squad. Confident attacking midfielder who has good leadership qualities. 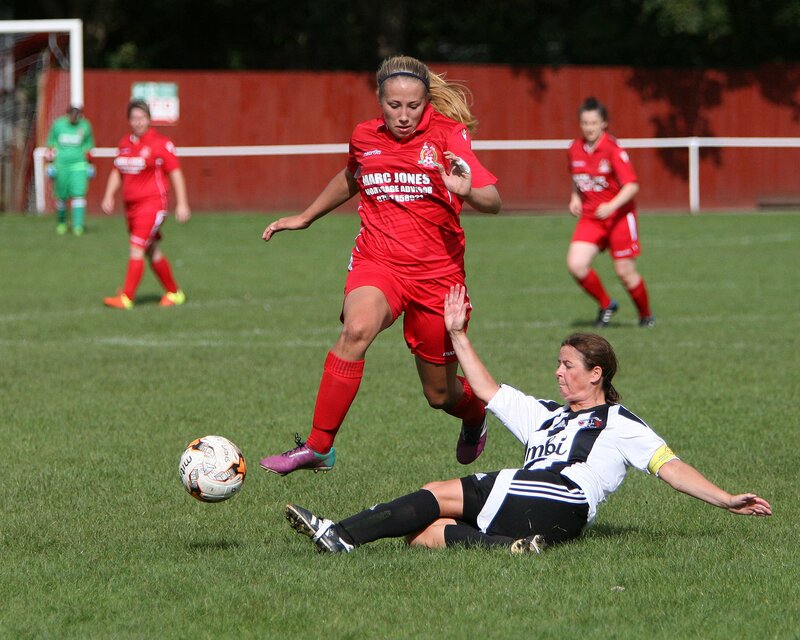 Voted last season’s Manager’s Player of the Year, Pukky is a player with great determination who always gives 100% for her team. Pacey winger who can drive forward and cause problems for opposing defenders. Also has an excellent work rate to work back and help out the defence. 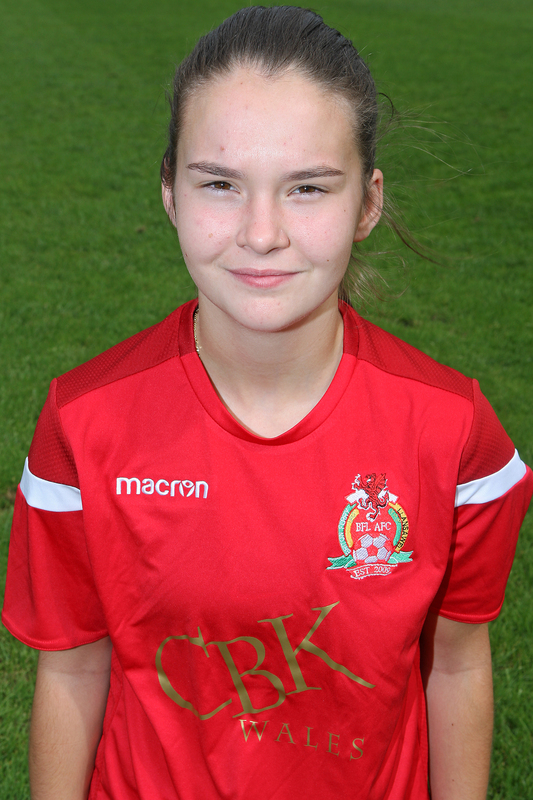 Cerys plays as a striker. She has good hold up play and an eye for goal, shown by the contribution she has in that department. Good all round player, can play in a defensive role, midfield, and in an attacking role. Proven herself previously as a prolific goal scorer. 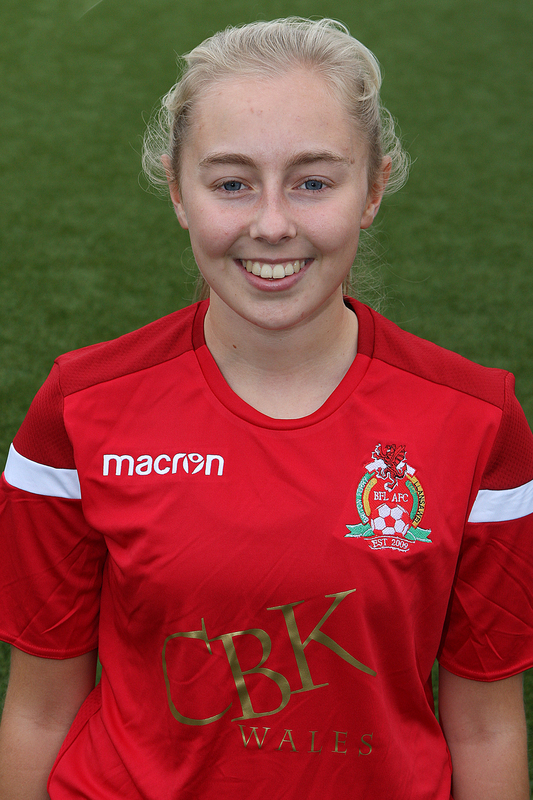 Carys can play any attacking position and due to having a good understanding of the game has the ability to assist those around her with her ball control and vision. Also possesses a good touch and an eye for goal. 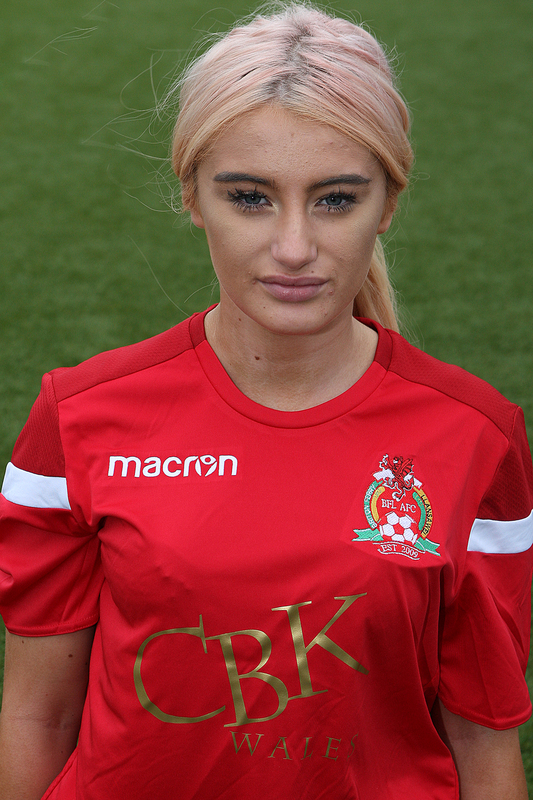 Forward signed from Rhos, skillful attack minded player who has the quality to become a first time regular. Joined this season from Penybont and offers another attacking option as a left winger or striker. Fast player who can take on defenders. Quick forward who bolsters a powerful shot and gives extra firepower for the team up top. Previously played as a winger and full-back so has the versatility to fill in to these positions if required. 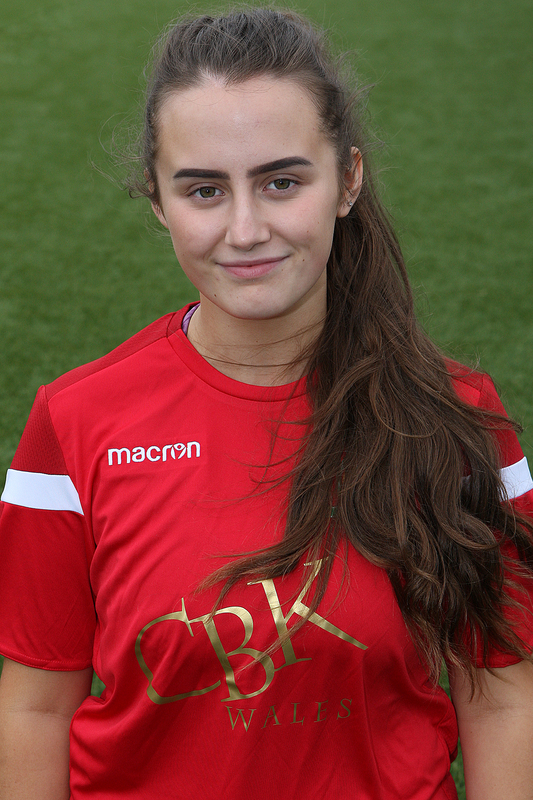 This will be Freja’s first year at ladies level after playing for Ferry’s U16’s side last season. She is a winger who is very persistent going forward and never gives up. 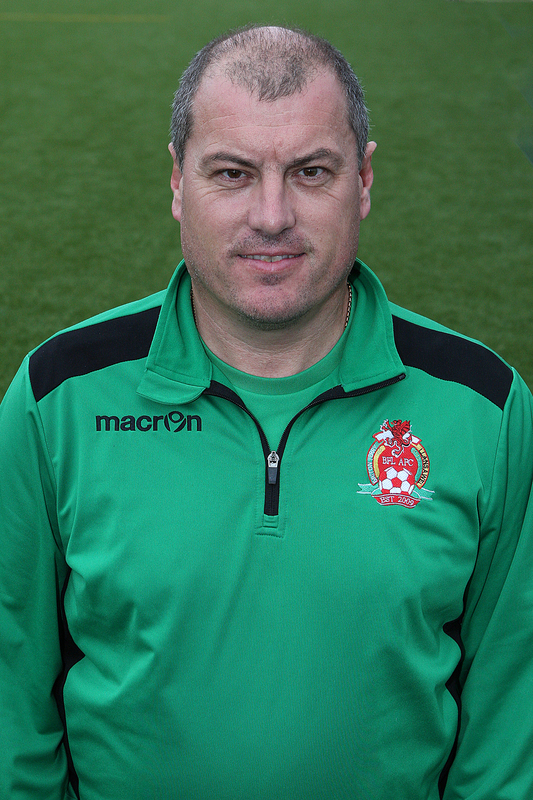 Having coached for 12 years, 9 of those being involved with the female game, Simon has a wealth of experience. Over the years he has coached some girls onto the junior international stage, a couple of which are currently playing for Ferry. 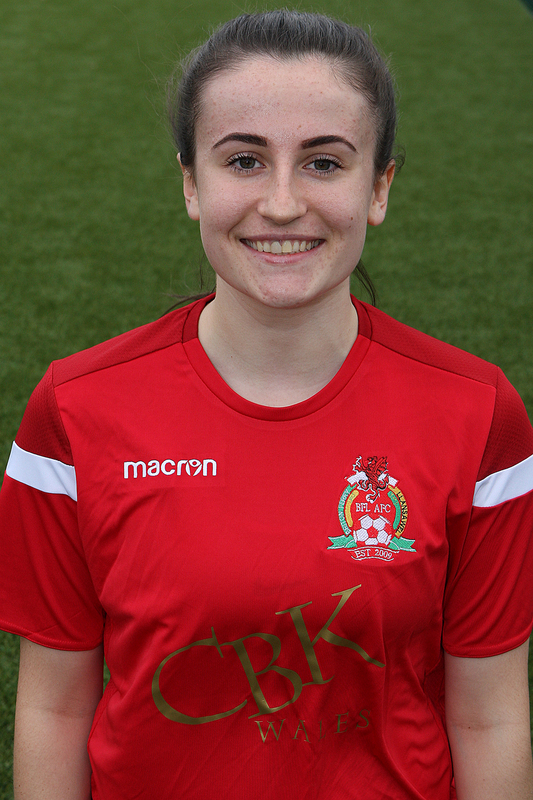 Simon has also won many trophies at both junior and ladies level, 2 of which have been title promotions to the Welsh Women’s Premier League alongside Ross. 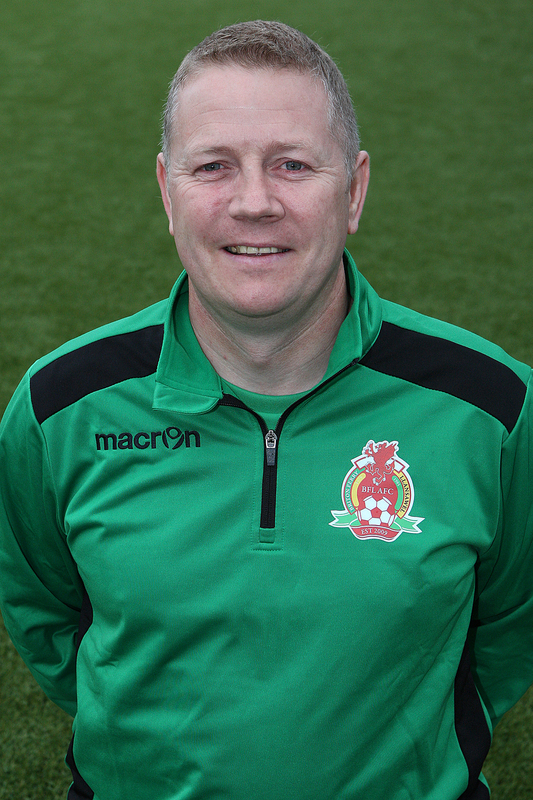 Ross started coaching at a junior Cimla girls’ team, eventually taking them to a Welsh Cup semi-final at under 16 level. 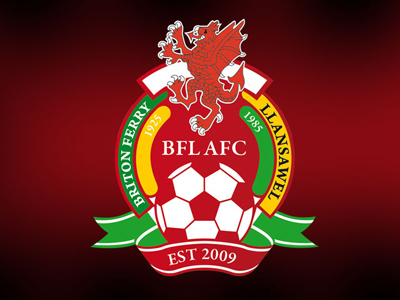 He then took the lead role at Briton Ferry Llansawel when the team formed in the 2013-14 season and is now in his 6th year as manager having won many accolades along the way, including 2 promotions to the Welsh Women’s Premier League with the Ferry Ladies. 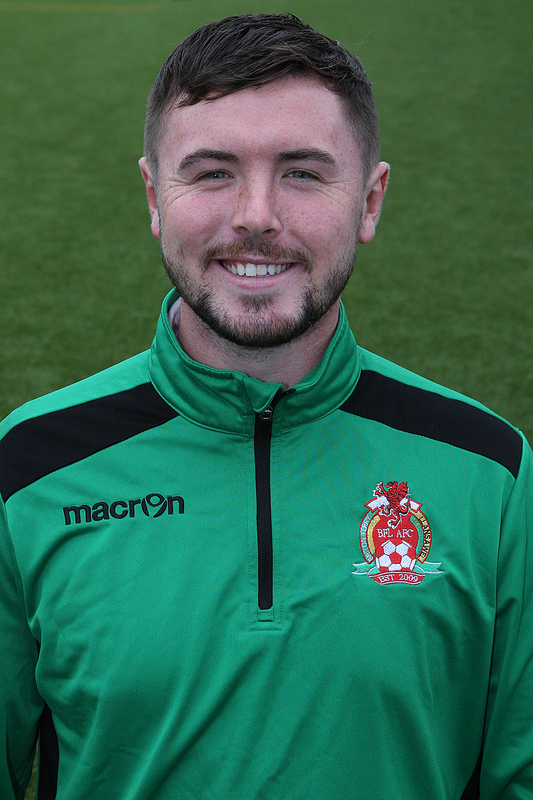 Jack, who is a former Briton Ferry player himself, started coaching at the Swansea City Academy in 2014 before moving on to coaching women’s football. 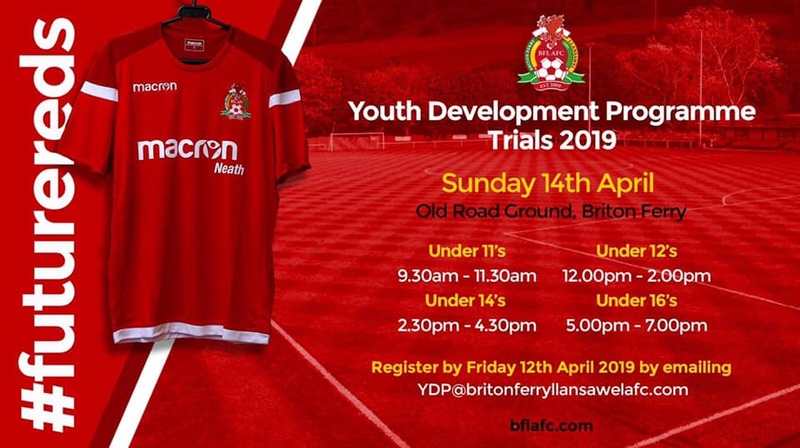 He returns to coach the Ferry ladies once again after the club’s previous stint in the Welsh Premier League and has developed a good relationship with the girls in the 2 seasons he’s coached at the club.